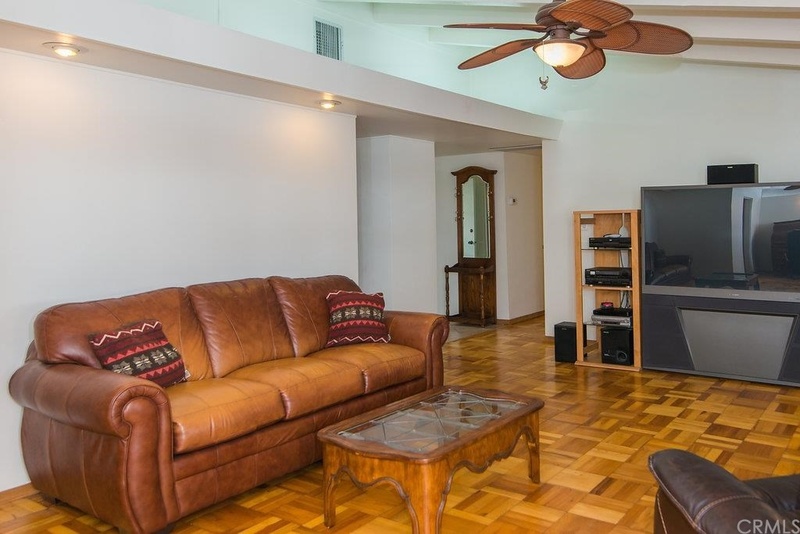 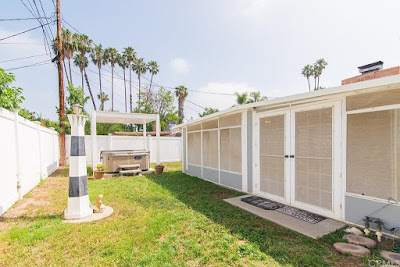 Built in 1954 by the Alexander Construction Company is this Palmer & Krisel-designed restoration opportunity in the iconic neighborhood of Corbin Palms. 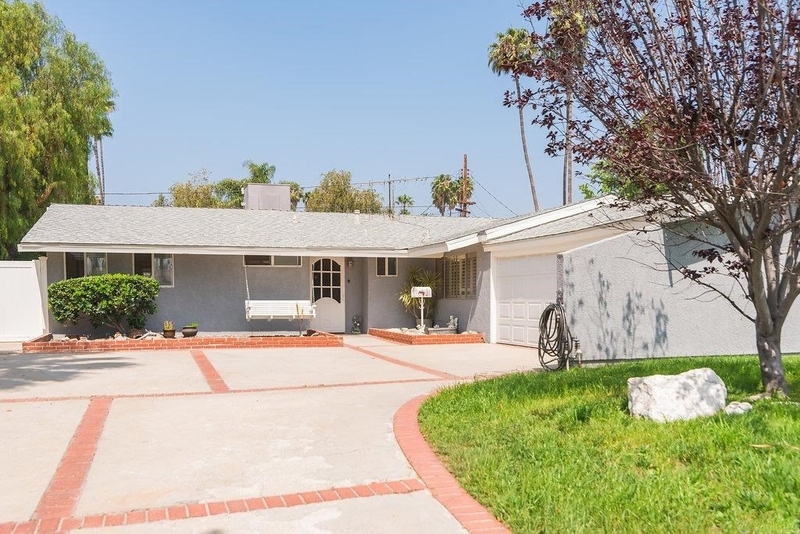 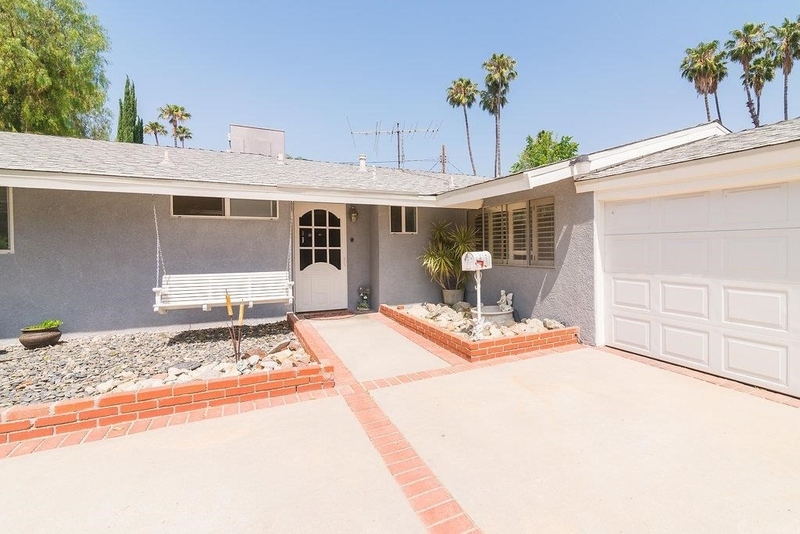 Traditionally renovated and expanded, this midcentury home features three bedrooms and two bathrooms in 1,709 square feet on a 7,700 square foot lot and carries an asking price of $595,000. Situated on a nine-home cul-de-sac, this east-facing home sits behind a well-watered simple green lawn, with a sweeping brick-accented driveway welcoming visitors. 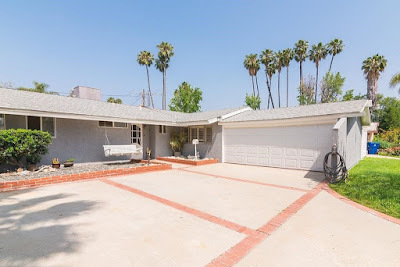 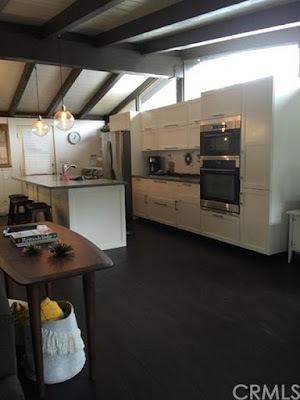 The exterior of the home generally maintains its original proportions, but has seen the two-car carport converted to an enclosed garage and the former breezeway between the home and garage has been enclosed and captured for additional square footage. The exterior of the home has seen a chunky lace stucco finish applied to it, and the doors and windows appear to have been replaced at some point over the years. 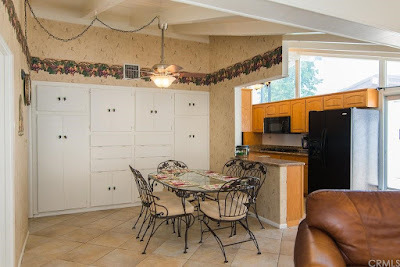 Inside, the living and original dining room sit at the back of the home, with the kitchen on the north side of the home and all three bedrooms clustered on the southern end of the home. 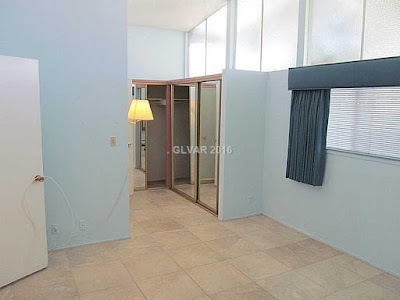 The former fourth bedroom/den adjacent the kitchen has been converted to a dining room, and the addition between the kitchen and enclosed carport has been converted to a family room. 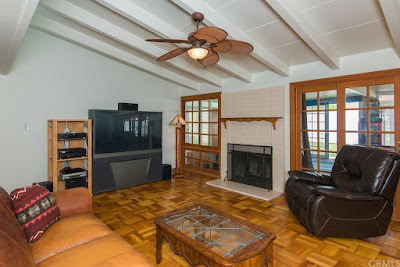 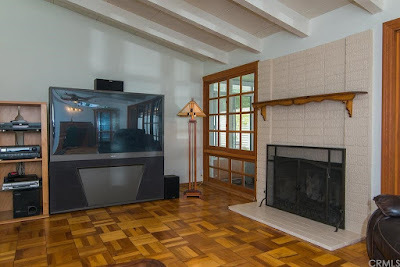 The original parquet floors in the living and original dining area appear to still be intact, while the original stacked brick fireplace still anchors the living room. An added ornate mantle can be easily removed. 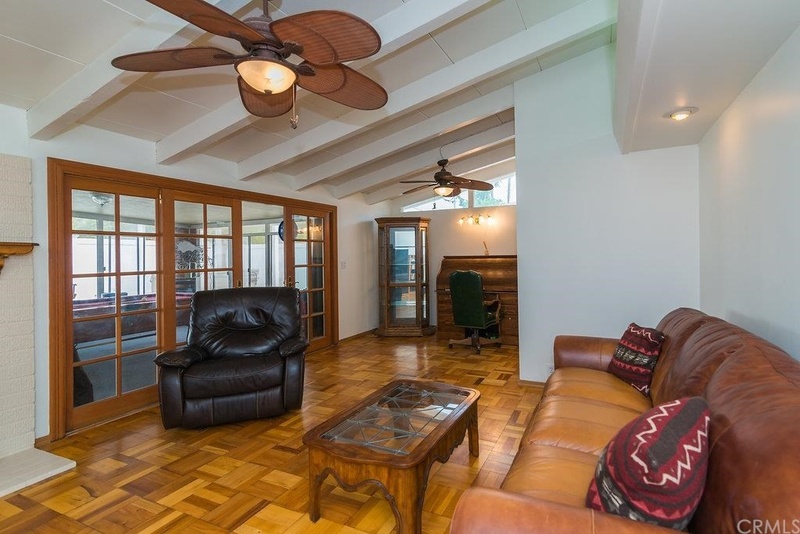 Mullioned French doors have replaced the original floor-to-ceiling four-pane windows and sliders, which now lead out to an enclosed sunroom. 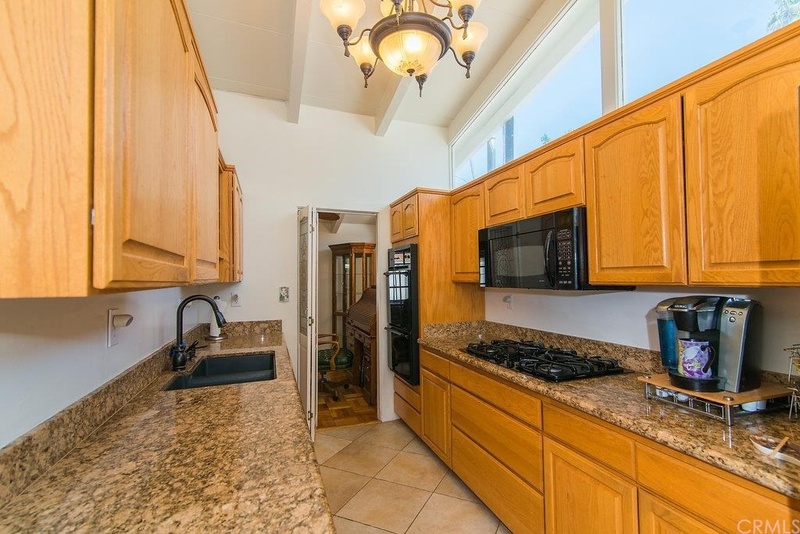 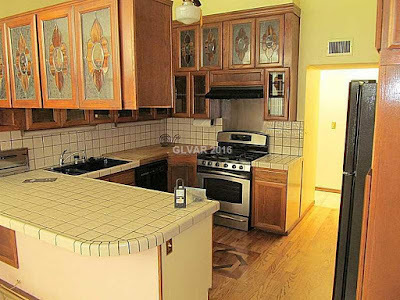 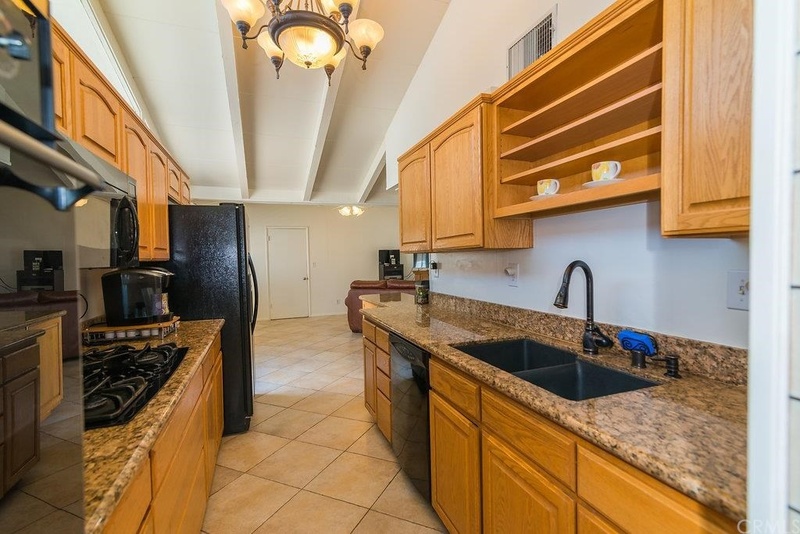 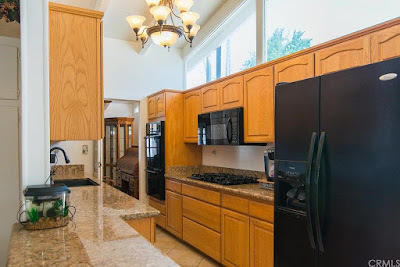 The kitchen appears to have been updated at some point in the 2000s, with granite counters, raised panel cabinetry and black appliances. 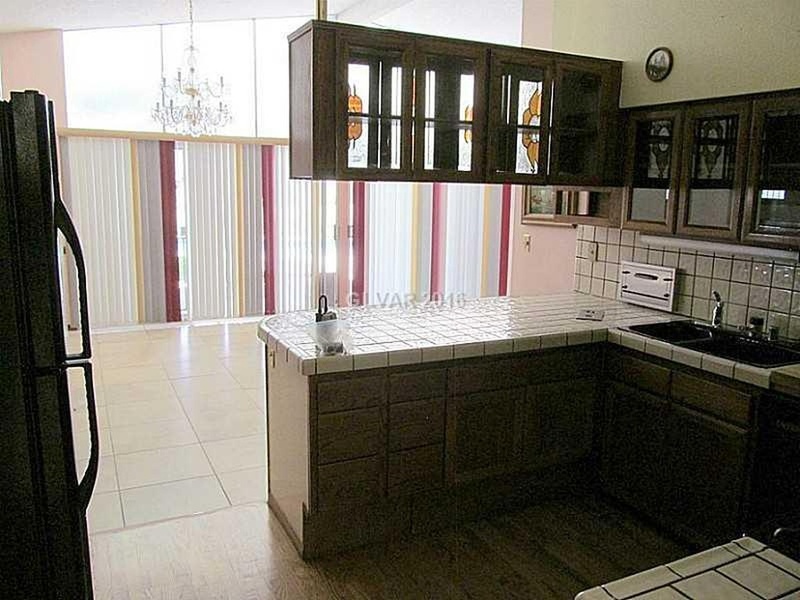 The original clerestories are still intact, and an overly ornate traditional chandelier illuminates the room. 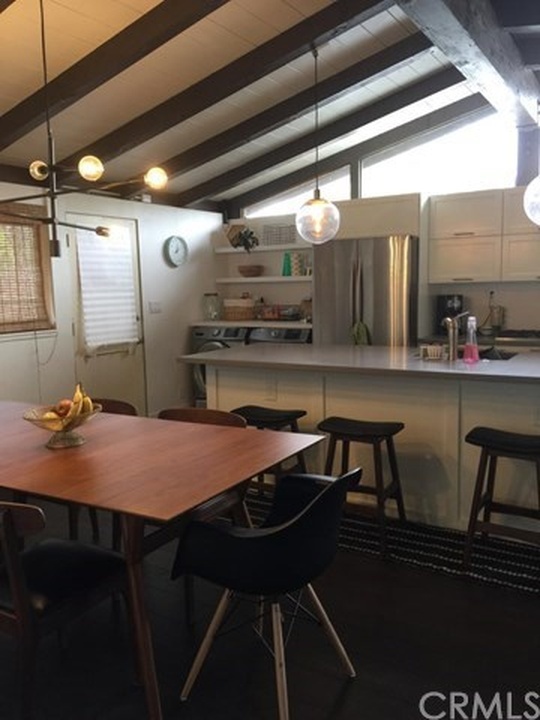 The dining room/former den sits between the kitchen and entry, still featuring its original built in storage and opens up into the family room addition. 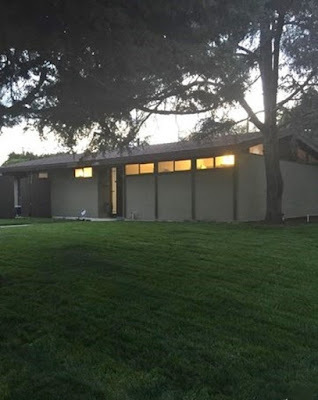 The addition appears to have been constructed in the same style as the home, with high vaulted beamed ceilings and beige floor tiles. 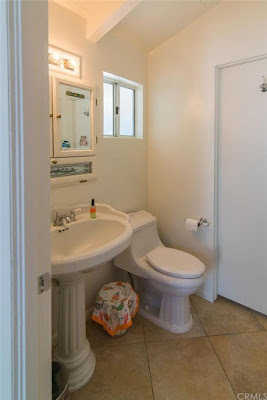 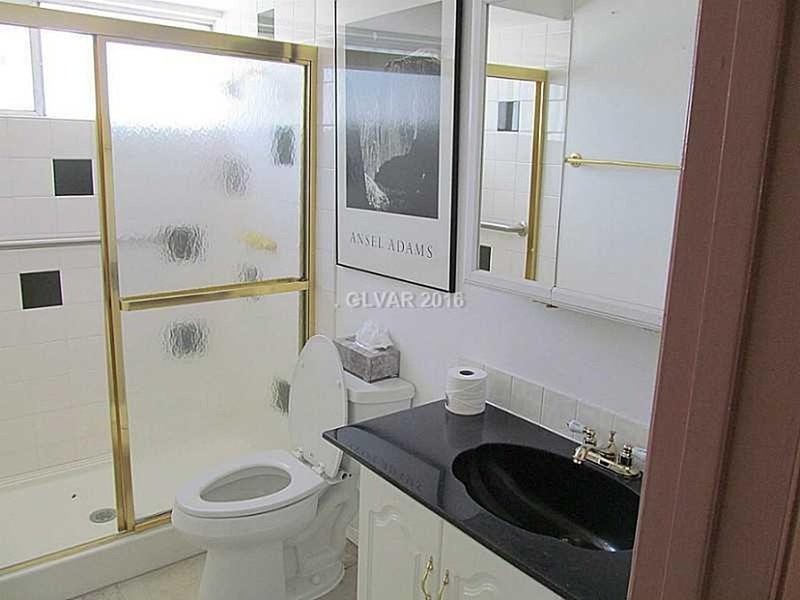 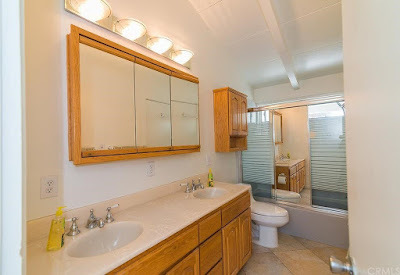 The guest bath sits adjacent to the entry and has been updated with ornate fixtures, with the master bath receiving a more 1980s oak-themed makeover. 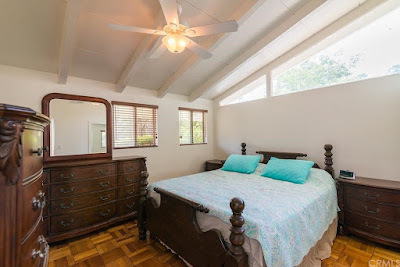 The three bedrooms feature parquet flooring, mirrored closet doors and original clerestory windows in the master bedroom. 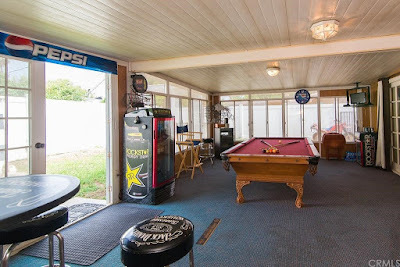 The backyard is reduced in size due to the sunroom addition on the back of the home, along with a covered above-ground hot tub and a miniature lighthouse. 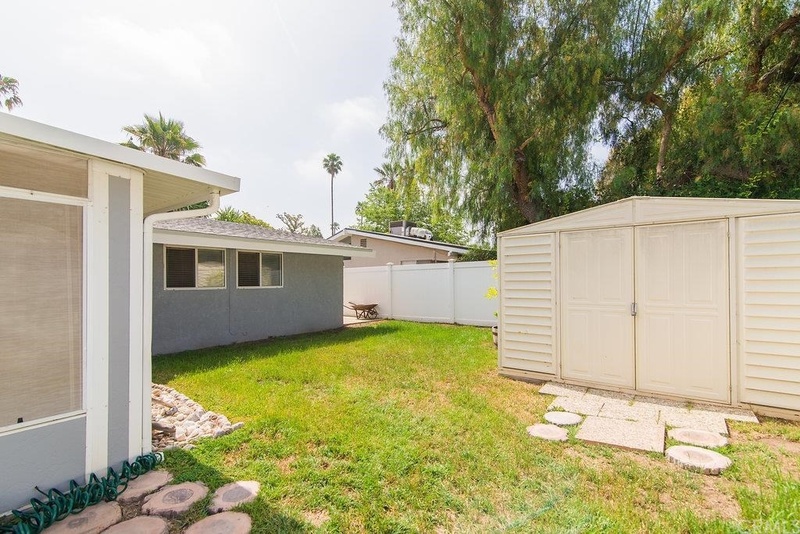 The west-facing portion of the usable yard area is turf, and interestingly the yard is completely devoid of trees. 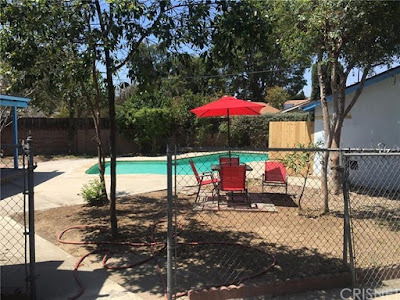 A bright white vinyl fence encloses the yard, and the northern side yard has been paved in concrete. While the traditional renovations may turn off most modernists, there’s great bones on this home and a little vision could go a long way in restoring this home back to its modernist roots. 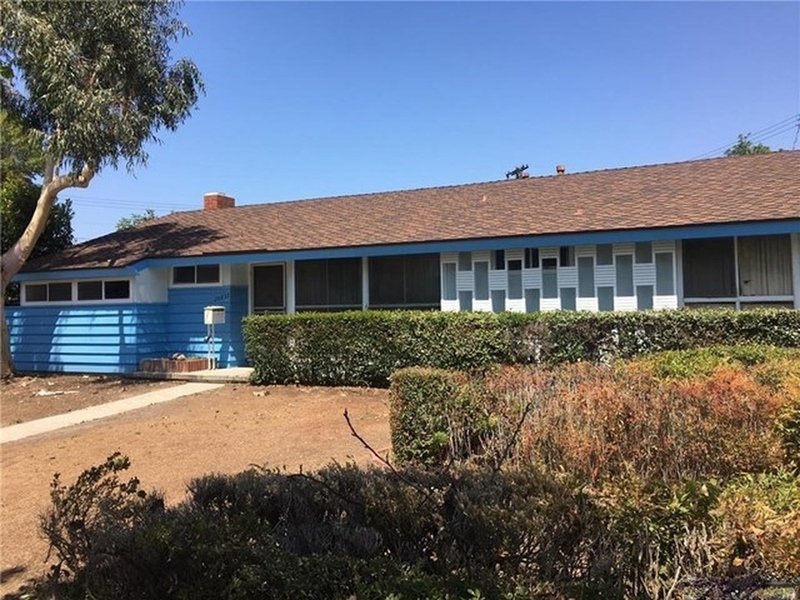 Built in 1955 by Midland Properties is this Palmer & Krisel-designed home in Fullerton, CA relatively new to the market. 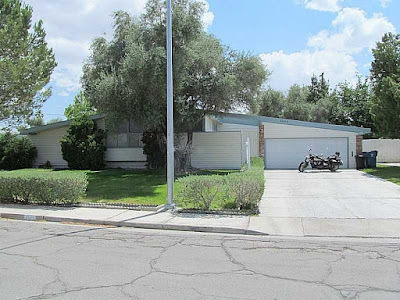 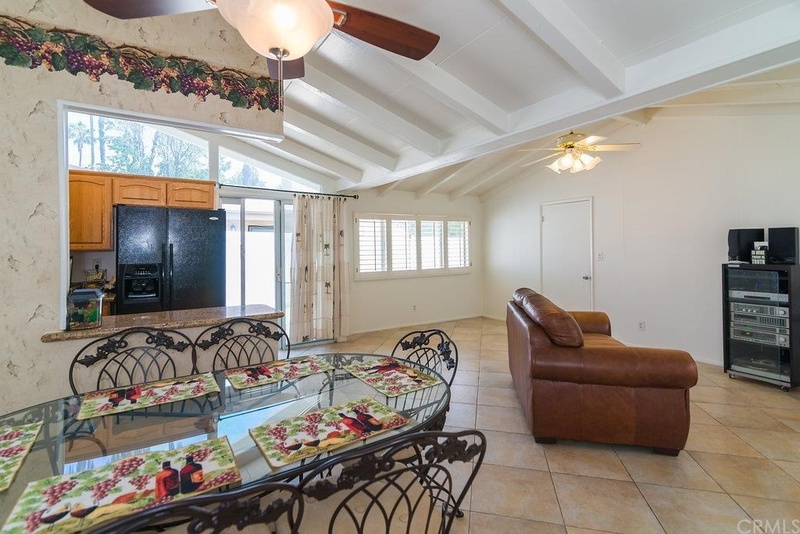 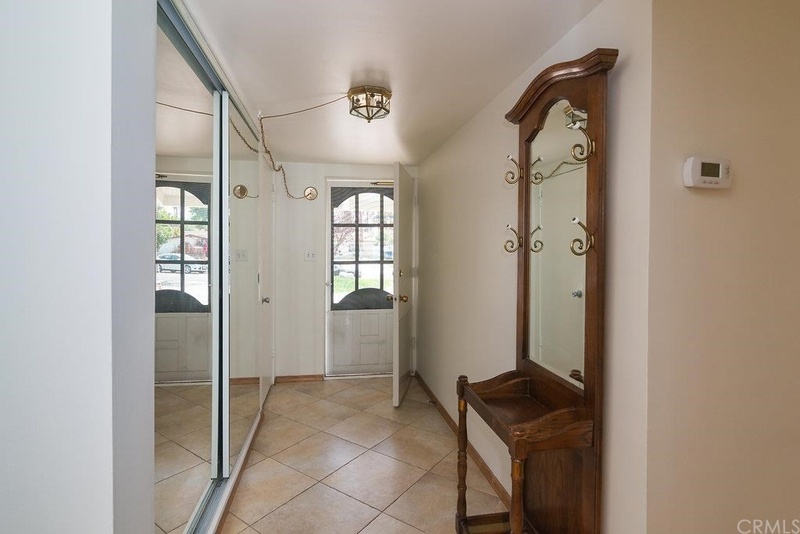 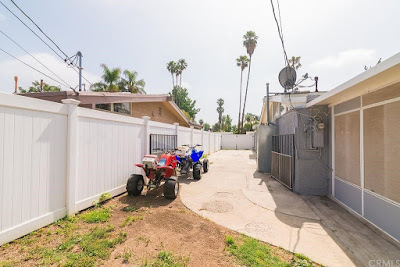 With three bedrooms and two bathrooms in 1,253 square feet on a 9,000 square-foot corner lot, the asking price on this home is $600,000, a significant markup since it’s last sale in November 2015 for $491,000. 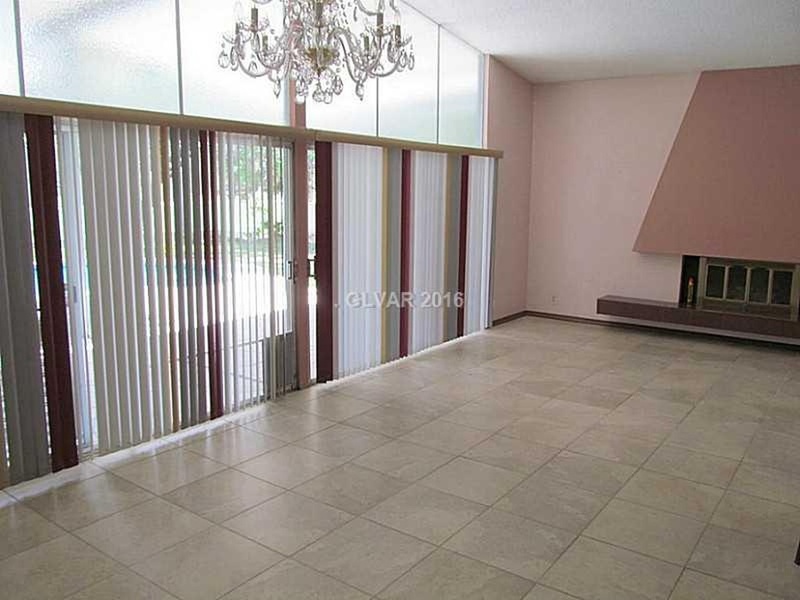 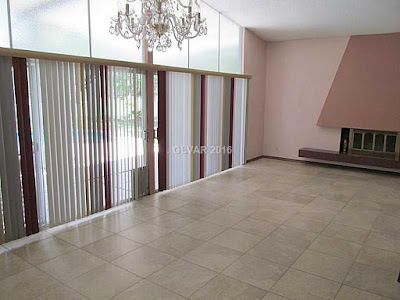 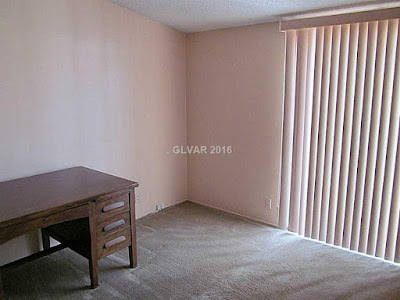 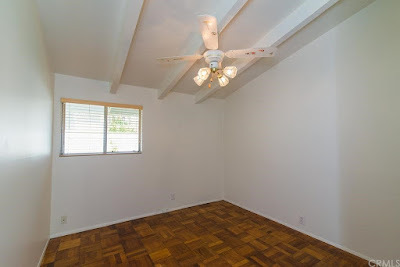 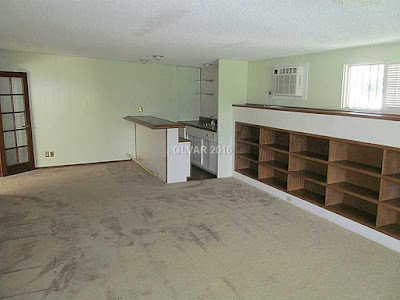 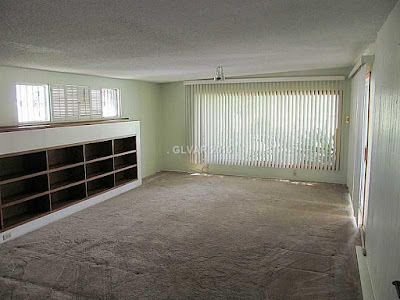 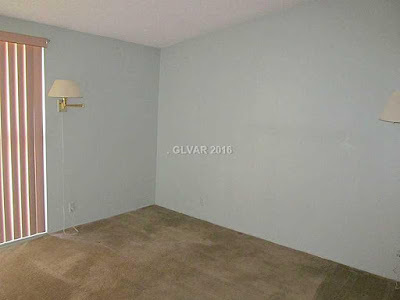 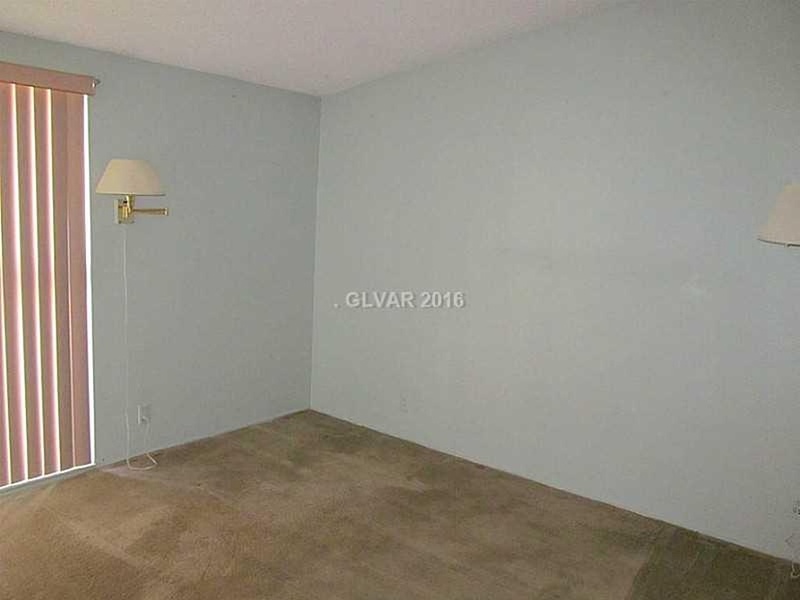 Only photos of the front of the home and the living area are shown, with no information provided on the bedrooms or baths. The home faces southeast on its corner lot, secluded from the roadway with a lush collection of mature trees, juniper groundcovers and flat green lawn giving the home a tranquil, serene setting. 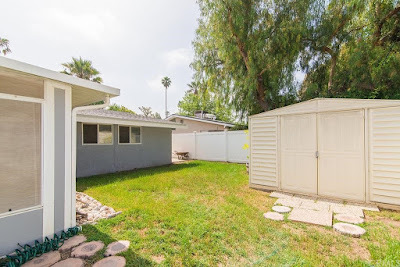 Like most Krisel-designed homes on corner lots, the garage is located in the backyard, accessing the adjacent side street, detached from the main home. Inside, the home is a floorplan that was seen all over Southern California in the mid 1950’s. The kitchen sits on the west side of the home, with a dining room and guest bathroom lying at the front of the home between the kitchen and the entry. The dining room sits at the rear of the home along with the living room, and overlooks an enclosed addition in the backyard. 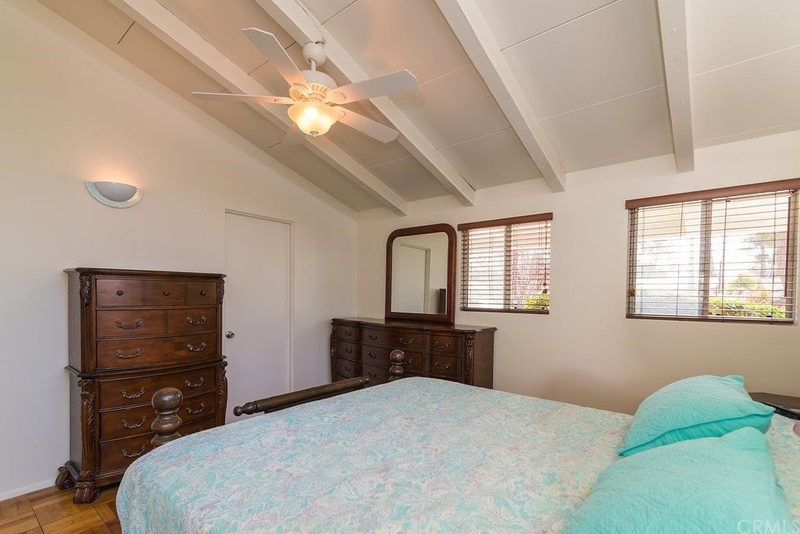 All three bedrooms lie on the east side of the home, with the master at the front and secondary bedrooms at the rear. The living, dining and kitchen have all been opened to each other to create a great room concept, which opens up a typically small space, but also eliminates privacy within living areas and has the ability to make them feel smaller. The open beamed wooden ceilings are still in place, as are the clerestories at both ends of the home, which allow for the diminutive space to feel larger and more open. The kitchen has been updated with newer, white shaker-style cabinetry, stainless steel appliances and composite counters. 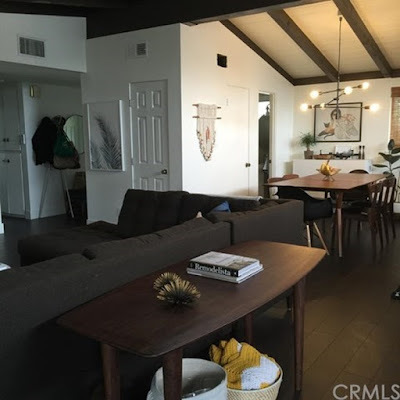 Dark planks line the floors, and modern light fixtures hang from the ceilings. 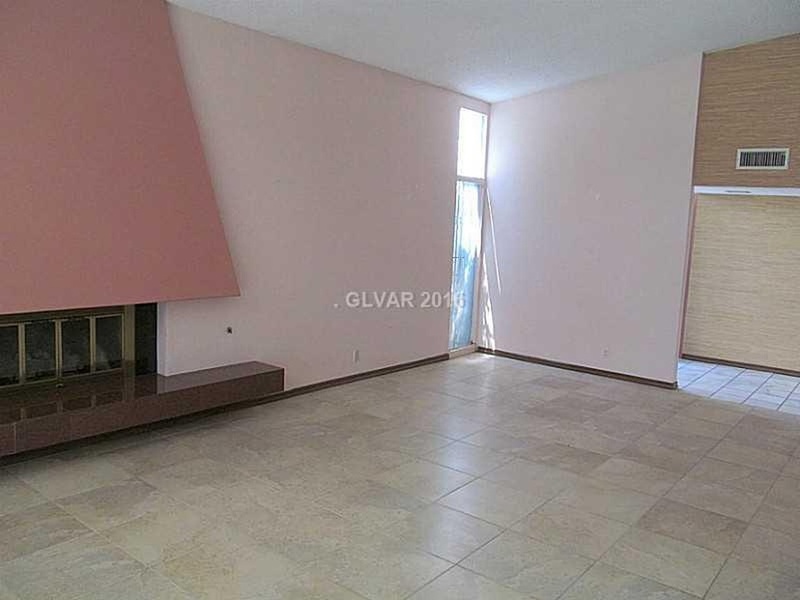 The living room still maintains its original modernist Krisel fireplace, with clean lines and stacked block. There’s no photos of the backyard, but the detached two-car garage and backyard sunporch swallow up much of the available space. Mature trees and vines surround the rest of the backyard, and a small patch of grass sits near the western corner. This home looks interesting, quiet and calm from the street, and if you don’t mind the open concept it’s worth a look. Built in 1959 by builder George Heltzer is this time capsule of a home in Westridge Park in Winnetka, CA in the San Fernando Valley. 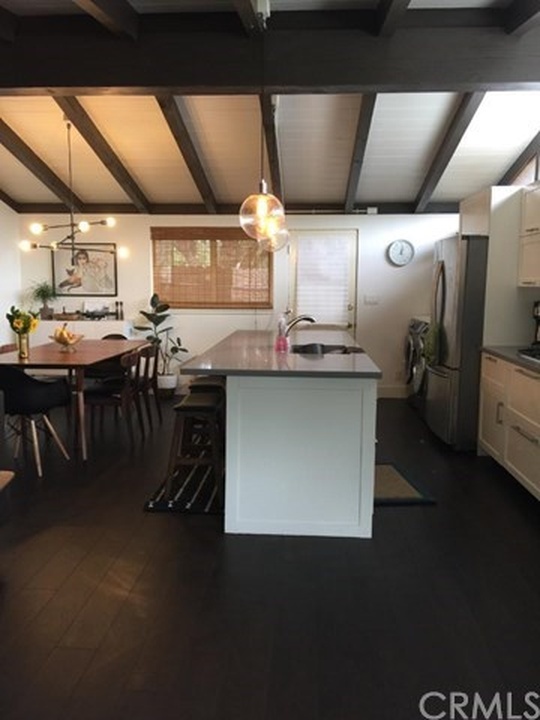 Designed by architects Palmer & Krisel, this home features three bedrooms and two bathrooms in 1,823 expanded square feet, a detached rear-yard garage, and an in-ground pool all on an 8,600 square-foot cul-de-sac lot with an asking price of $509,000. 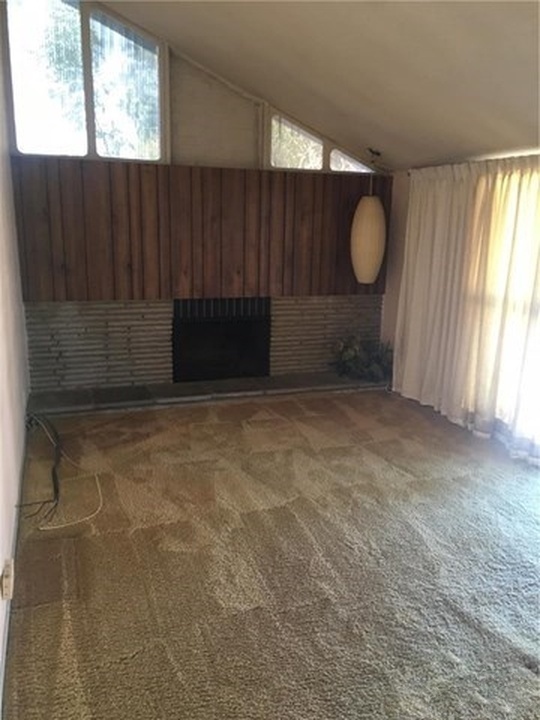 Unfortunately there aren’t many photographs of this midcentury modern time capsule, but this home was too good not to share. 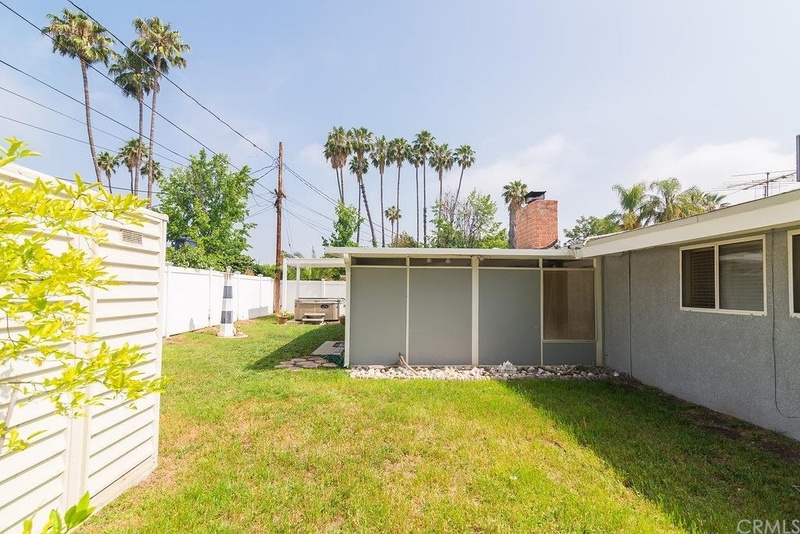 The home sits behind a small front yard, currently the perfect candidate for a modernist water-conserving makeover. The façade of the home features a fun checkerboard screen concealing a front-facing bathroom window, a combination of clapboard siding and stucco and Krisel’s signature four-pane windows. 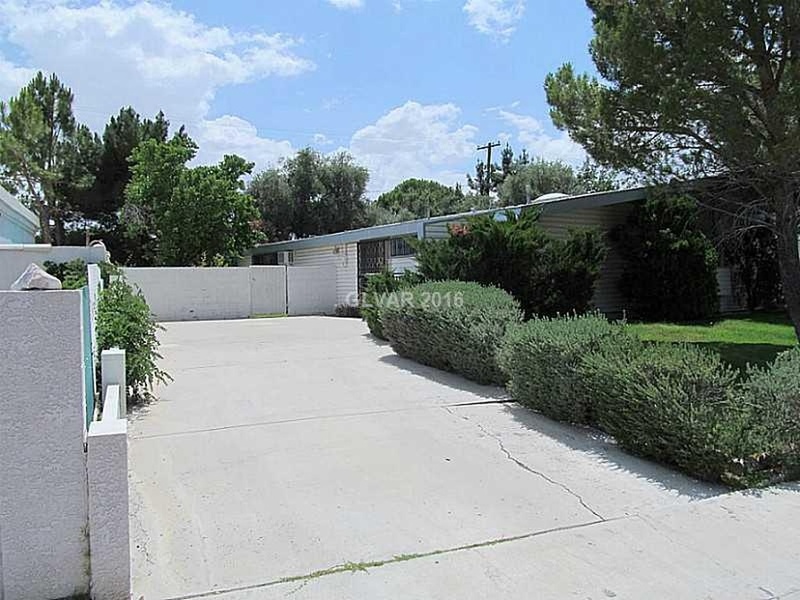 A neatly trimmed hedgerow sits at the base of the home, while wild junipers grow along the south side of the front yard. 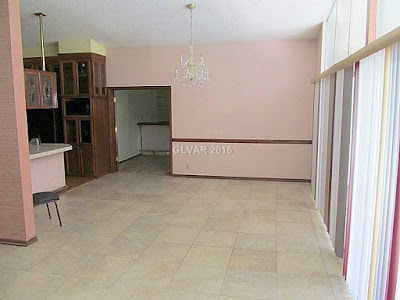 Inside, the living room sits at the rear of the home while the kitchen lies at the front. On this floorplan, the master bedroom and bath sit between the entry and living room at the front of the home, a breakfast nook adjacent to the entry and the kitchen opposite the nook. 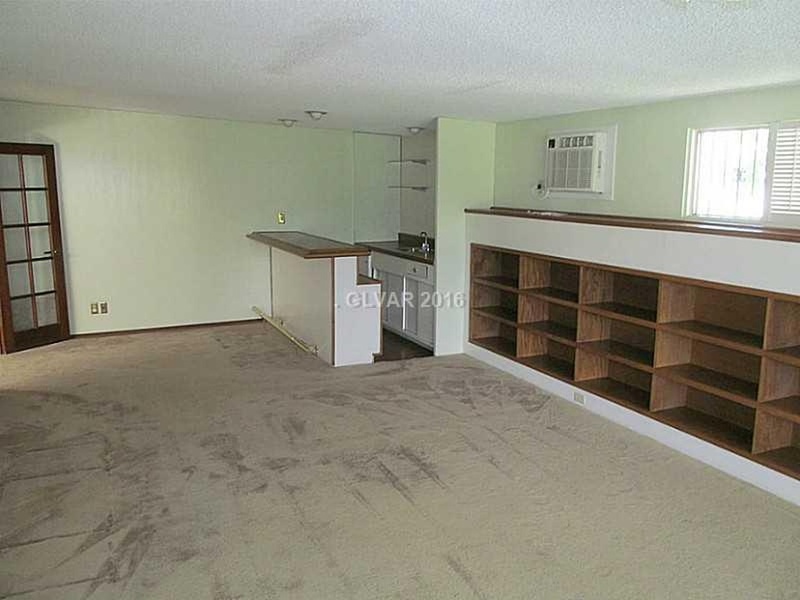 There’s also an approximate 400 square-foot family room addition at the northeast corner of the home, which unfortunately there are no pictures of. 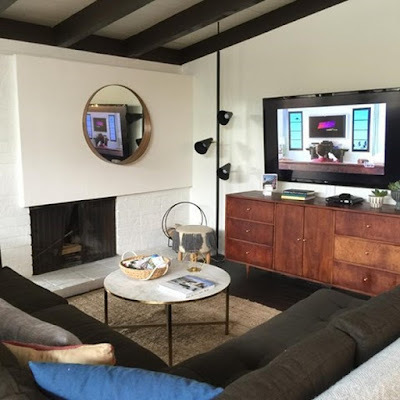 The rear facing living room looks straight out of 1959, with Krisel’s signature modernist fireplace anchoring the west wall of the room. 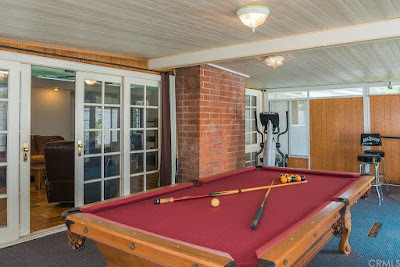 Clerestory windows sit above a paneled overmantle, which in turn sits above thin, horizontal stonework. Topping off the room is a thoughtfully-placed vintage George Nelson cigar lamp helping to anchor the fireplace and set the mid-mod tone for the room. 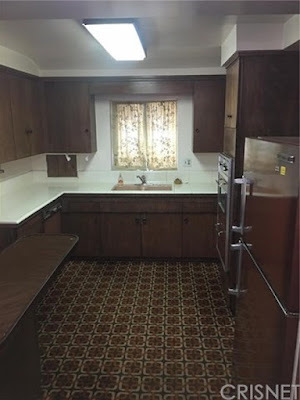 The kitchen still maintains its original dark-stained cabinets, white tile countertops, along with vintage appliances, including fridge. 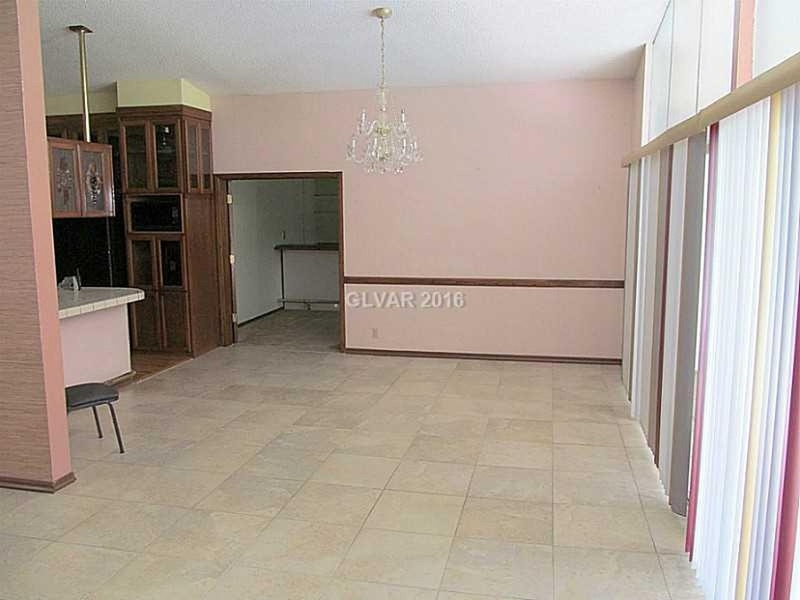 The floor looks to be mid to later 1960s, but is still pretty wild and vintage in its own right. 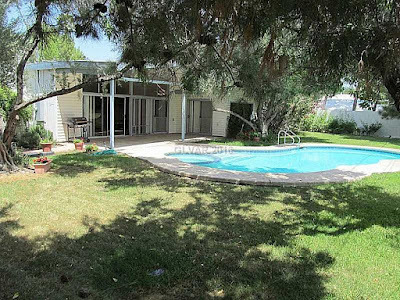 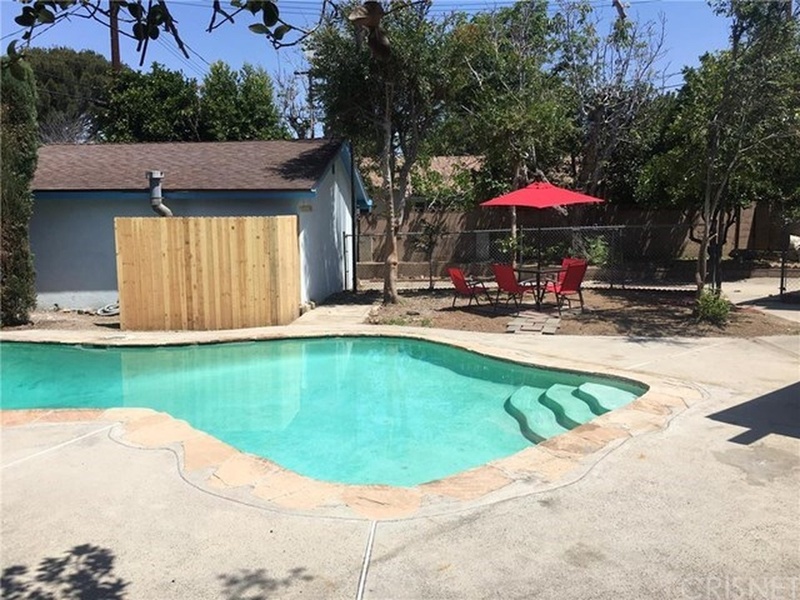 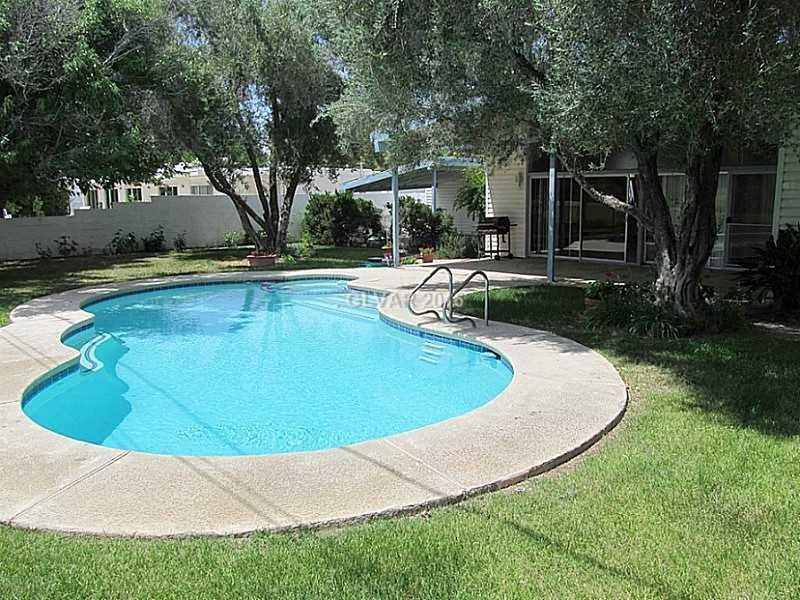 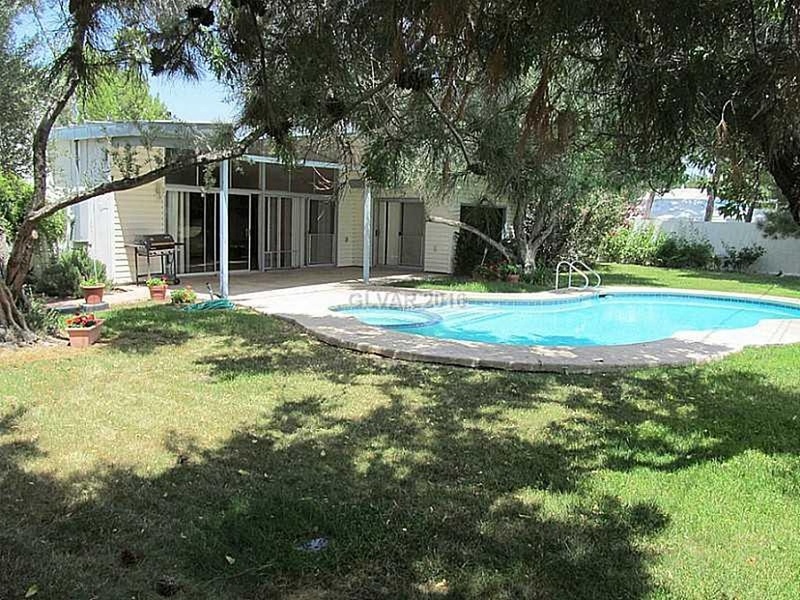 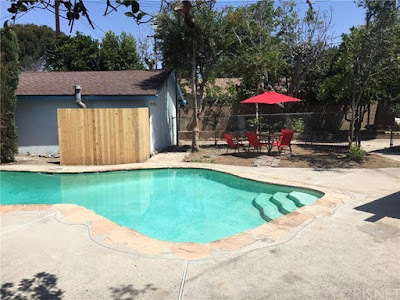 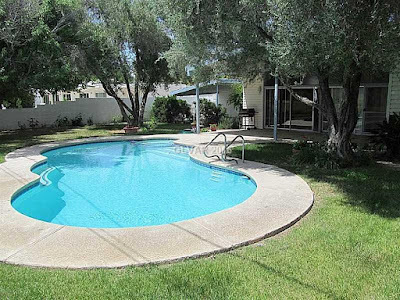 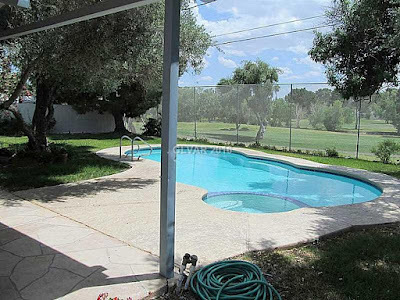 The large backyard contains a good-sized in-ground pool, a covered patio off of the living room and a detached garage accessed via an adjacent alleyway. 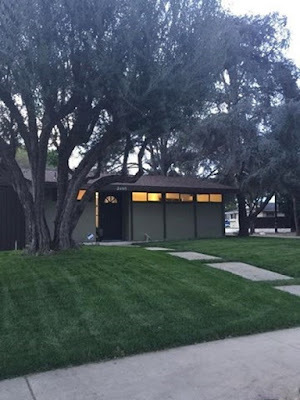 Mature trees and shrubs line backyard, and like the front, is in need of a modernist makeover that better suits the style of the home. 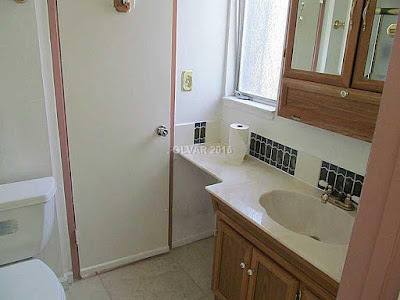 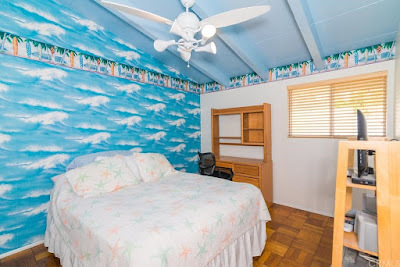 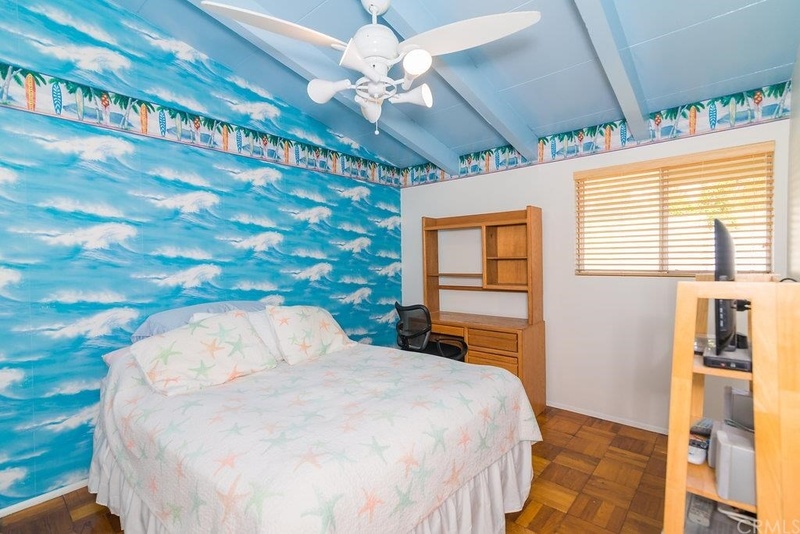 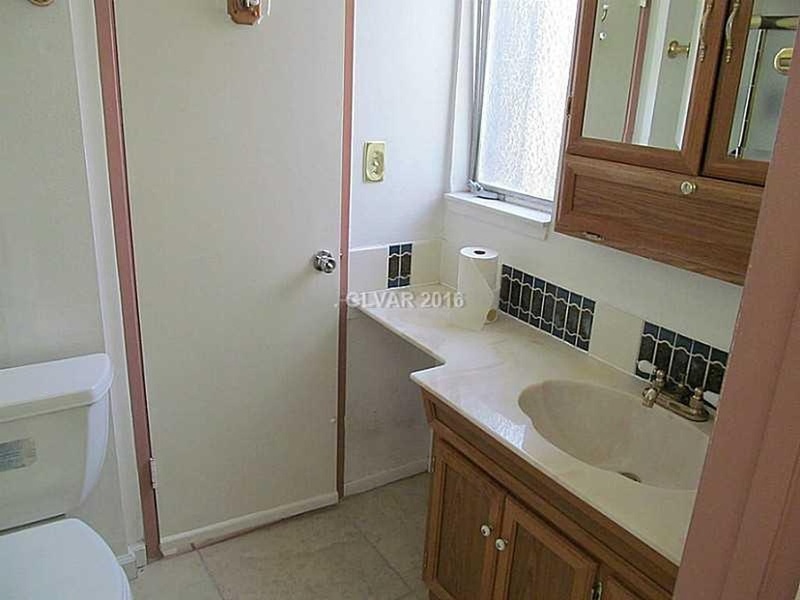 There aren’t any photos of the bed or bathrooms, but judging by the few home photos shown, they’ve got to be straight out of 1959. Frighteningly, the listing agent suggests that this home needs updating, hopefully a Krisel enthusiast will bring out the best and retain the features that give this home so much character.